"We are pleased with the SEC's decision to provide clarity with respect to current Ether transactions. 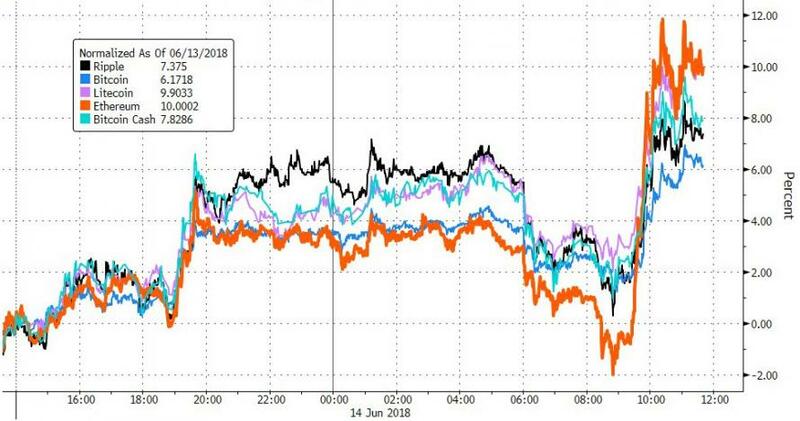 This announcement clears a key stumbling block for Ether futures, the case for which we've been considering since we launched the first Bitcoin futures in December 2017." While somewhat expected, a top official at the SEC has seemingly confirmed that Ethereum trades are not subject to federal securities laws. “Based on my understanding of the present state of Ether, the Ethereum network and its decentralized structure, current offers and sales of Ether are not securities transactions,” William Hinman, who leads the SEC’s corporation finance unit, said in a Thursday speech in San Francisco. Previously, SEC Chairman Jay Clayton had said that cryptocurrencies like bitcoin are not securities, though the agency had not definitively named any other coins that would be deemed currencies and not securities. 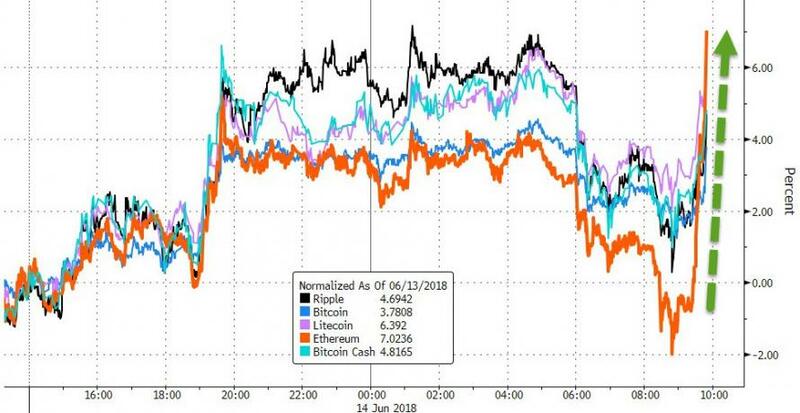 During CNBC's reporting on this speech they said that Hinman said "if there is a centralized third party, along with purchasers with an expectation of a return, than it is likely a security... The key here of course being that Ether is decentralized." This would suggest that Bitcoin also is NOT a security given its decentralize nature. As Yahoo reports, the commission’s policy is in line with what SEC Chair Jay Clayton said recently about bitcoin: that cryptocurrencies are not securities and the definition of “security” would not change to include bitcoin. (Clayton said digital tokens were securities, but cryptocurrencies were not.) Hinman’s announcement marks the official position of the SEC: the name isn’t important, but the way in which it’s sold, promised, and behaves is the key deciding factor.